How do I find student employment? Use the links below for a step by step process for each different type of student employment. FEDERAL & STATE WORK STUDY: All work study positions are posted on HireaLion, powered by Handshake, at www.hirealion.com. Click on students to login to your automatically created account using your leomail.tamuc.edu email address! 6. Remember to dress for success and bring a copy of your work permit during your job interviews. 7. Contact Bethany Ferrall, 903.468.3212, if you have any questions or are having trouble locating work study employment. *HireaLion contains FT, PT, and internship opportunities, both on and off campus. If you are not seeing local jobs, filter down the openings by location (Commerce, TX) and/or do a search for positions with "Work Study" in the title. REGULAR STUDENT WORKER: All regular student worker positions are posted on HireaLion, powered by Handshake, at www.hirealion.com. Click on students to login to your automatically created account using your leomail.tamuc.edu email address! 2. Title your resume ON CAMPUS RESUME and it will be immediately approved. 3. Once your resume is approved, search for jobs and submitting applications. 4. Carefully complete on-campus student worker applications. Once you have applied and are contacted for interviews, don't forget to dress for success and bring a copy of your resume to your interview! Posting a position on Handshake? Contact Bethany Ferrall, bethany.ferrall@tamuc.edu or 903.468.3212. Contact Career Development at 903.468.3223 or schedule an appointment at tamuc.joinhandshake.com/appointments. Contact Christina Clark, hr.hiring@tamuc.edu or 903-886-5852. GRADUATE ASSISTANTSHIPS: All graduate assistantships are posted on HireaLion, powered by Handshake, at www.hirealion.com. Click on students to login to your automatically created account using your leomail.tamuc.edu email address! Texas A&M University-Commerce Students are encouraged to seek off-campus employment to broaden their work experience. Many companies have available job openings for students. Check out HireaLion, powered by Handshake, at www.hirealion.com (click on students) today for all currently listed off campus positions! Are you an employer looking to hire students? 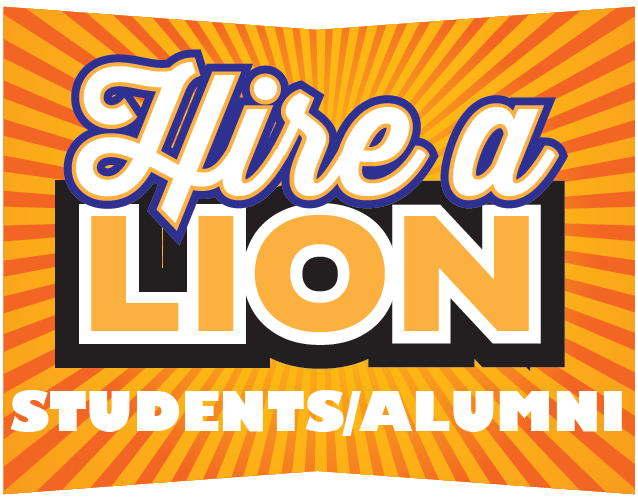 Businesses in the surrounding area of Texas A&M University-Commerce can post their jobs at no cost on HireaLion, powered by Handshake. Click on employers at www.hirealion.com to get started!